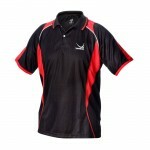 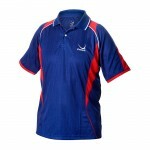 Yasaka table tennis shirt FLASH shirt is made of moisture transportable functional fibre, 100 % polyester, woven with the special Jacquard method. The Jacquard method gives a highly comfortable feeling and a stretch function. 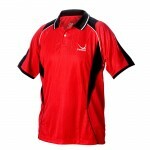 FLASH is available in 3 different colour combinations.